The situation hasn’t changed much over the last 24 hours. 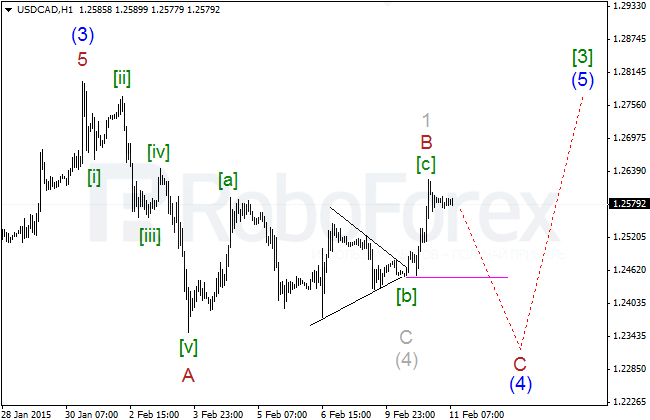 The price is moving below its critical level and may continue falling inside wave (v) of [iii] towards 1.0875 – 1.0900. 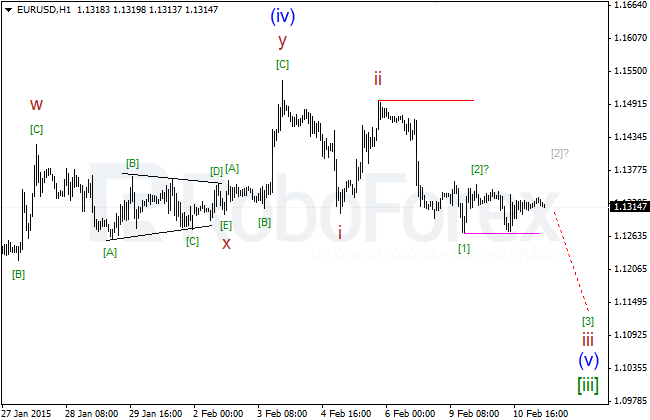 Most likely, the pair has completed impulse  and a short correctional wave  inside wave (v) of [iii]. In the nearest future, the price is expected to cross the confirming level at 1.1268 and then continue moving downwards. In case of Pound, the situation also hasn’t changed. The price is moving wave 5 of (1) and may to continue falling in the nearest future. 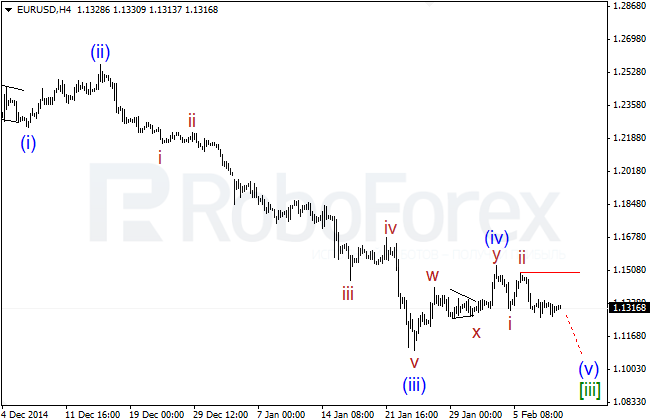 Most likely, the pair has completed impulse [i] and a correctional wave [ii] (in the form of flat) inside wave of 5 of (1). The critical level is at 1.5351: if the market breaks it, this scenario will be cancelled. 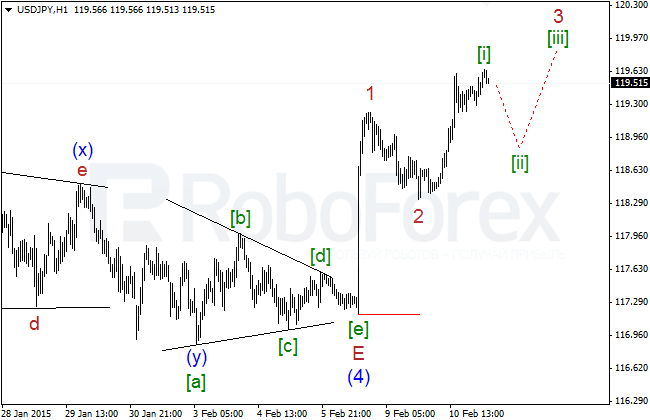 In the nearest future, the market is expected to break the confirming level at 1.5198 and continue moving downwards. In case of Yen, there are several possible scenarios. One of them implies that the pair has finished wave (4) of  in the form of horizontal triangle (including wave E of (4) in the form of horizontal triangle as well). After a short pullback down, the market is expected to continue growing. An alternative scenario (colored in gray) suggests that the pair is still forming wave D of (4) of , after which it may fall towards 117.75 – 118.00 inside wave E of (4) of  to complete the whole structure. Later, the price is expected to start growing to pass 120.00. After completing horizontal triangle inside wave (4) of , the pair formed two ascending impulses, which are most likely waves 1 of (5) of  and [i] of 3 of (5). 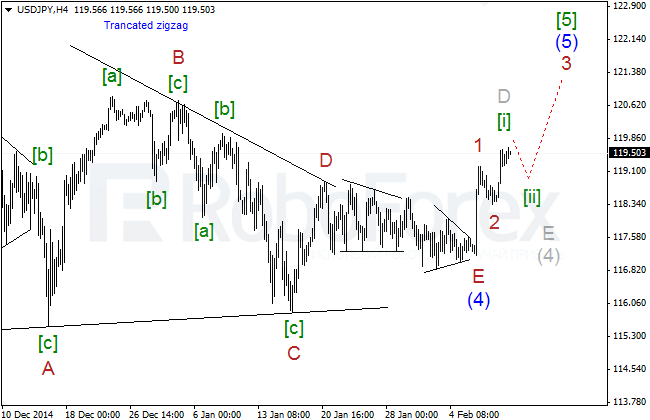 After a short pullback inside wave [ii] of 3 of (5), the price is expected to continue moving upwards to pass 120.00. The sideways movement of the price continues. 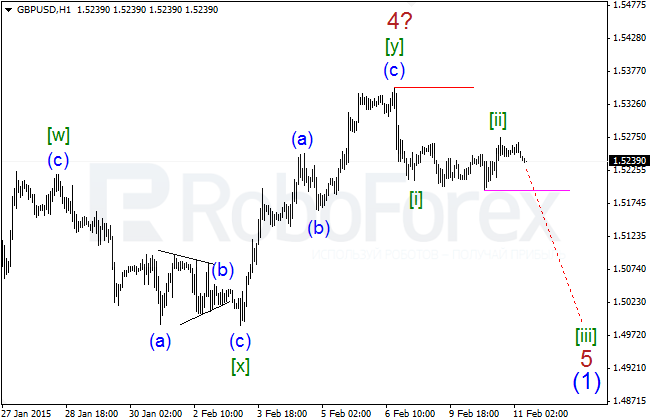 There are quite a lot of possible scenarios how the price may form wave (4) of . Most likely, the pair has only finished wave B of (4) of  and may start falling inside wave C of (4) of  in the nearest future. Most likely, the price has completed wave B of (4) of  inside wave (4) of . 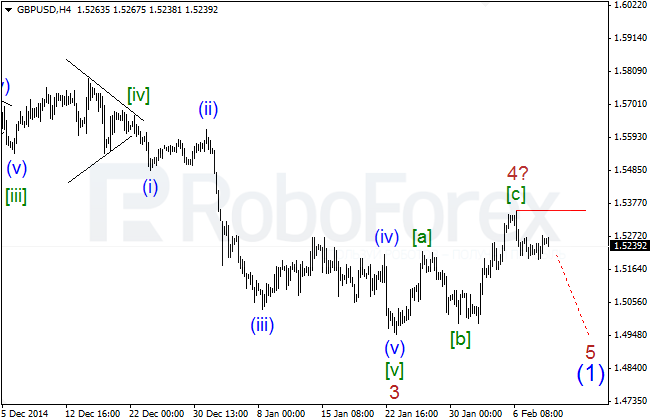 In the near term, after breaking the confirming level at 1.2448, the pair is expected to fall towards 1.2300 – 1.2325 inside wave C of (4) of . However, an alternative scenario (colored in gray) implies that the price has already completed wave (4) of  in the form of horizontal triangle and then formed impulse 1 of wave (5) of . 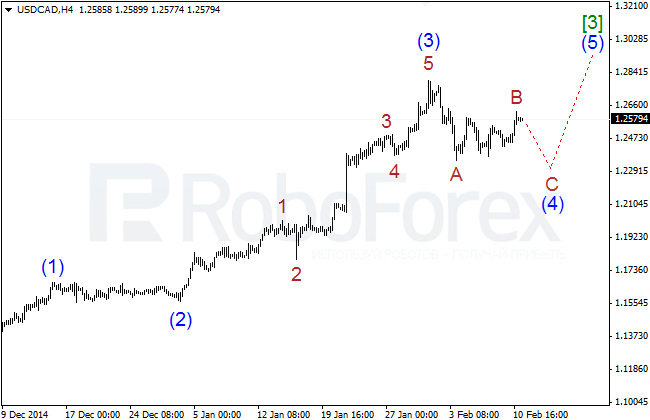 This scenario will be confirmed if the market is able to stay above 1.2625. in this case, the pair may grow and reach 1.2850 – 1.2900 without any serious pullbacks.